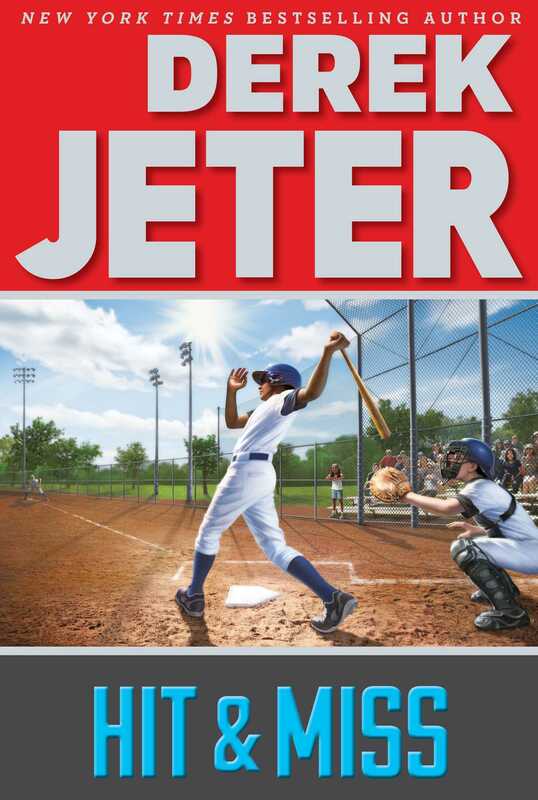 The second book in the New York Times bestselling Jeter Publishing imprint, Hit & Miss is a middle grade baseball novel inspired by the youth of legendary sports icon and role model Derek Jeter. That’s the advice Derek’s father gives him about batting—and a lot more. It seems that Little League season is here. Throughout the long Michigan winter, Derek thought that Opening Day might never come. Now at last he can pursue his dream of one day playing shortstop for the New York Yankees. As luck would have it, he’s on the Red Sox this year, and they seem to have more talent than the Tigers, the team he was on when last season ended in disappointment. His best friend, Vijay, is with him again, and Derek gets the same number—13!—that his father wore in college. Now if the new kid with the chauffeur turns out to be a player, well, the Red Sox might just win it all. But as Derek finds out, both baseball and life are hard. Before the season is over, he’ll break out of a slump, bring his teammates closer together, learn a new sport, solve the mystery of why his sister Sharlee seems so quiet and suffer the consequences for violating “The Contract” he had signed with his parents. Before he can move closer to his dream, there are many lessons to be learned. Derek Jeter has a strong, supportive family structure. Describe and discuss your family structure. How is it similar or different from Derek’s family makeup? Derek’s parents establish a contract with him to ensure that he succeeds in school and accomplishes his goals. The contract lists several expectations and includes consequences for breaking the rules. Do you have written family expectations or obligations? If not, are they clearly understood? Explain what happens if you do not follow through or violate these rules. Derek plays an action-packed game of H.O.R.S.E. with his dad on the basketball court that brings out his competitive nature. What activities do you do that inspire your competitive side? Little League Baseball rules are player specific and more restrictive than the Big Leagues. Why do you think they have age and length-of-play limitations? Playing with a new team or trying out for anything new is always exciting and can also be a little tense. Having a good friend to share the moment helps. How does Vijay, Derek’s close friend, help him through the team’s beginning practice drills? Discuss what friendship means to you. Give some examples. Is it difficult to make friends with a new classmate? Do you worry about what others will say if you want to be friends with someone who may be new or different from yourself? What do you fear about reaching out to a new friend? Chapter 4 – If At First You Don’t Succeed . . .
Derek’s attempts to make friends with Dave were rejected at first. What does he do to assure Dave that he really wants to be friends? Have you ever been rejected or ridiculed? How did that make you feel? Coach Kaufman organized a scrimmage to observe the strengths and weaknesses of his team. How does this type of practice establish camaraderie and team spirit? What new sports game did Dave introduce to Derek? How similar is it to baseball? How is it different? What did Derek learn about his new friend during the visit? What is the structure of Dave’s family and how does it compare to Derek’s? Breaking the rules can cause serious consequences. When Derek agreed to ride home with Dave after school without telling anyone where he was going, he broke the rules. What kind of danger could he have faced? Why did his parents have that rule in place? Discuss a time when you did not follow the rules. What were the results? Chapter 7 – Play Ball! Derek was disappointed with his own performance in the first few ball games of the season. What did he do to change or improve? How did he break his batting slump? Discuss a situation where you tried and failed. How did you feel? What did you do to change or improve the situation? Chapter 8 – Practice Makes Perfect? Derek has to study hard to get good grades. How does his rivalry with Gary Parnell, the “smartest kid in fourth grade,” help him to keep his skills sharp? What are your strong subjects? What subjects are more difficult? Which ones do you enjoy the most? Why? Why is it important to improve your test scores? What study methods do you use? Practice does make perfect – especially in sports. Derek’s father takes time to offer batting tips to Derek and his two friends, Vijay and Dave. What happened when the boys applied what they were taught? Chapter 10 – Game On! Even though Derek goes through a batting slump, Coach Kaufman continues to use Derek to support the team in other ways. How does this affect his performance? What makes you try harder when you are faced with failure? Vijay and Dave began to improve their performance after receiving coaching advice from Derek’s father. How did this make Derek feel? Sharlee, Derek’s sister, is being bullied at school by an older, more intimidating classmate. Derek’s parents claim that all bullies are cowards. Do you agree with this? Explain your thoughts. What is your definition of a bully? What do you think causes such bad behavior? Have you ever been a victim of bullying or known someone who was bullied? What were your reactions? What will you try to do in the future to prevent bullying? Sharlee has been suffering through an uncomfortable situation at school. Jimmy Vickers is picking on her, and she has lost some of her sparkling and upbeat personality. What would you do if you were being picked on every day? Would you tell someone? Who would that person be and why? Derek became very angry when his sister confessed to him that a kid knocked her down, spit on her, and turned the other kids against her. How does Derek handle this situation? Discuss what you would do if she were your baby sister. Derek must apologize for his own “bullying” behavior. Why was it so hard for Derek to apologize? What were the results? Discuss a time when your behavior required an apology. Do you agree with the punishment that Derek was given? One of the rules in Derek’s contract is to “Be a Role Model for Sharlee.” Does he live up to this expectation? How? Derek learns a critical life lesson when the team’s winning streak is on the line: the game is not over until the last out. Even if it looks bad and you have to go into extra innings, it pays to have hope, work hard, and never give up. Why is this an important lesson? Can you think of an occasion when you were rewarded for not giving up? Throughout the entire school year, Derek continues to study hard and receives a 93 on his math final, but his taunting classmate Gary Parnell always seems to get a better grade. What happens to Parnell that stops his bragging on the spot? Why does Derek feel justified? Why were test scores important to Derek? Sharlee learns that even your enemies can change. How does her relationship with Jimmy Vickers change? At the end of the playoff game, Derek’s mom encouraged him to see the final game and season results in a different way. What did she say to make him feel better? What do you think about the support she gave? Dave and Derek recognized and appreciated the importance of a good coach and mentor. Do you have adults in your life that encourage your endeavors and offer you advice? Describe who they are and how they help you. 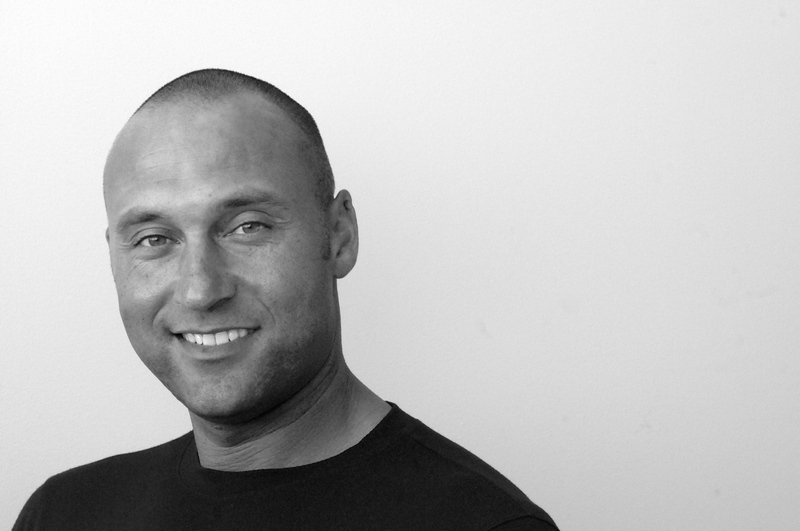 Ask readers to review Derek Jeter’s Ten Life Lessons. They are listed in the front of the book and on his website: http://mlb.mlb.com/players/jeter_derek/kids/handbook.jsp. Instruct your students to select one life goal that they have made and ask them to share in writing what they are doing to reach it. Discuss any challenges that may occur to deter them from reaching their goal. Read out loud the passages in Hit & Miss regarding the play-by-play events in the championship game. Then ask the students to stand in a large group circle. Toss a softball or Nerf ball to one student in the class and have him or her tell their own play-by-play story of one inning of a baseball game. When the instructor calls “stop” after a brief period, the teller tosses the ball to another student, who picks up the play and continues the story. This ball toss continues until the inning is declared over with three outs. The teacher reads aloud from Hit & Miss by Derek Jeter. Refer to pages 113 -133. A classroom activity is assigned to write a different reaction and result to the encounter with Sharlee’s bully. Divide the class into pairs and have them share with each other their own story ending. Allow the pairs to share or role-play their “new” ending in class, if time permits. (Note: Remind them to consider changing the setting, the dialogue, the number of characters involved, or/and the response from the adults) Refer to National Core Arts Standards http://www.nationalartsstandards.org/ -- theatre standards. Read Coyote by Gerald McDermott to the class; discuss vocabulary (ravens, coyote, mesa) and setting (desert). Ask students to write their own original folktale based on a similar incident using these or similar animal characters. Discuss how Coyote’s story fits the same pattern as the bullying incident(s) in Jeter’s Hit & Miss. Classroom discussion follows the reading assignment. Objective: Based on Coyote by Gerald McDermott, a tale inspired by Coyote stories of the desert southwest, this project requires students to listen, respond, write, speak, think about cause and effect, predict outcomes – and to think about what happens to bullies! What animal does Coyote see? What does Coyote want from that animal? What does Coyote threaten to do to the animal? How does the animal trick Coyote into a) making him believe he’s getting what he wants, and b) getting even with him for being such a bully? What happens to Coyote at the end of the story? What happens to Sharlee and her “bully” at the end of Hit & Miss? The classroom teacher asks students to sit in a circle in the classroom with an empty chair in the center of the room. A game of musical chairs is introduced using the song “Take Me Out to the Ballgame”. When the music begins, students will begin to walk slowly around the circle of chairs and grab a seat each time the music is stopped. (Be sure there is one less chair than students forcing one student to be left standing without a chair). This student will then sit in the middle “hot” seat. The teacher then pulls out a baseball glove (use a catcher’s mitt or a pitcher’s glove) that has several Story Scenarios inside. (See scenarios below). The student is asked to discuss what they would do if they were confronted with the selected situation. After they have shared their idea, the music begins again. Then another student is selected to sit in the seat and discuss a bullying scenario. Continue as time permits. A school bully has just dissed your new outfit. What is your response? You’ve just been told that a friend is telling lies about you. What’s the best way to handle the situation? You’ve been asked to do something at school against your will or you will get beat up. What do you do? Your classmates have stopped talking to you because the class bully told them to ignore you. How does this make you feel? Your teacher asked you to apologize for doing something that you did not do. What will you tell the teacher? What will you tell your parents? A big kid from a higher grade has been stealing your lunch and pushing you around. Who do you talk to? Your little brother is crying because a younger classmate hurt his feelings. You feel like you need to “do something” to defend him. What is the right thing to do? You are doing your best to participate in a school sport—in fact, you are very good. However, a teammate constantly puts down everything you do, which upsets you and causes you to question your ability. How do you cope with this abuse? You see a classmate being bullied by a friend of yours. What do you do? Who do you talk to? You’re asked to speak with a younger class about why they shouldn’t become a bully. What do you call out as negative consequences for you and others? Guide written in 2015 by Chrystal Carr Jeter of Willoughby-Eastlake Public Library. Derek Jeter is a fourteen-time All-Star and five-time World Series winner who has played for one team—the storied New York Yankees—for all twenty seasons of his major league career. His grace and class on and off the field have made him an icon and role model far beyond the world of baseball.